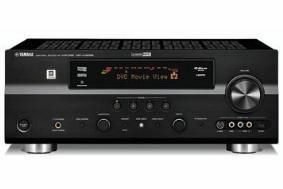 SHOW DEALS: Superfi offers Award-winning Yamaha DSP-AX863SE for £480 | What Hi-Fi? You'll have to come down to the show at ExCel to bag the deal as it's only available from the Superfi stand here, not through the firm's high street stores. But it could be worth the price of a show ticket given the amazing discounts on offer. And it's not just Superfi which is doing deals – LG, Dali, Armour, Clearer Audio and others are offering deals too, as you can read here. Discounts of between 10 and 20 per cent are widely available. So if you haven't already booked your ticket, check out the show website and head down to ExCel over the weekend. The show is open all day Saturday and Sunday.